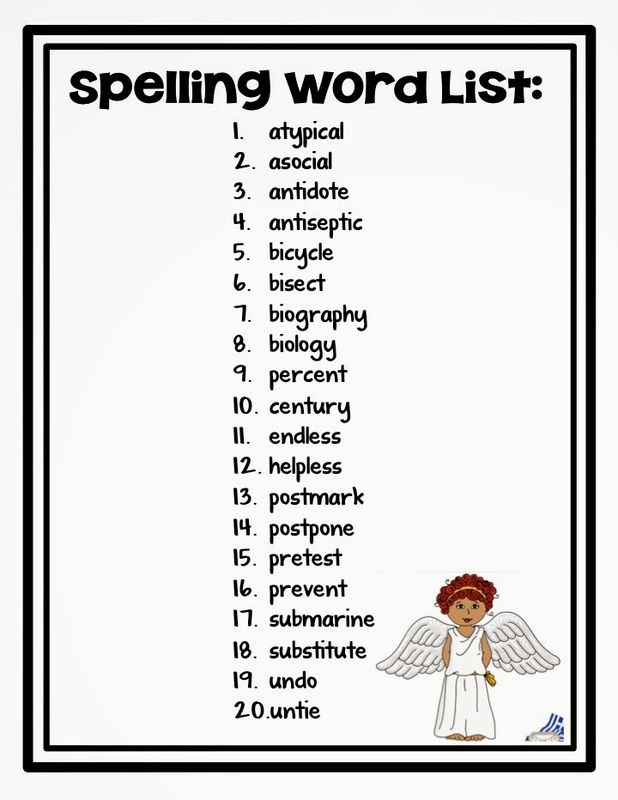 The Great Spelling Debate and a Little Motivation! Halfway through the year last year I stopped teaching spelling. I told my kiddos that we had made it through the 4th grade spelling workbook.. and aren't we proud?! Little did they know, we had not. I was just SICK and tired of assigning homework, giving pre-tests and final tests, and grading spelling work. For what? All for students to memorize some words, then forget them the next week? No thank you! I DO teach spelling and I LOVE it. What's changed? How I teach it! 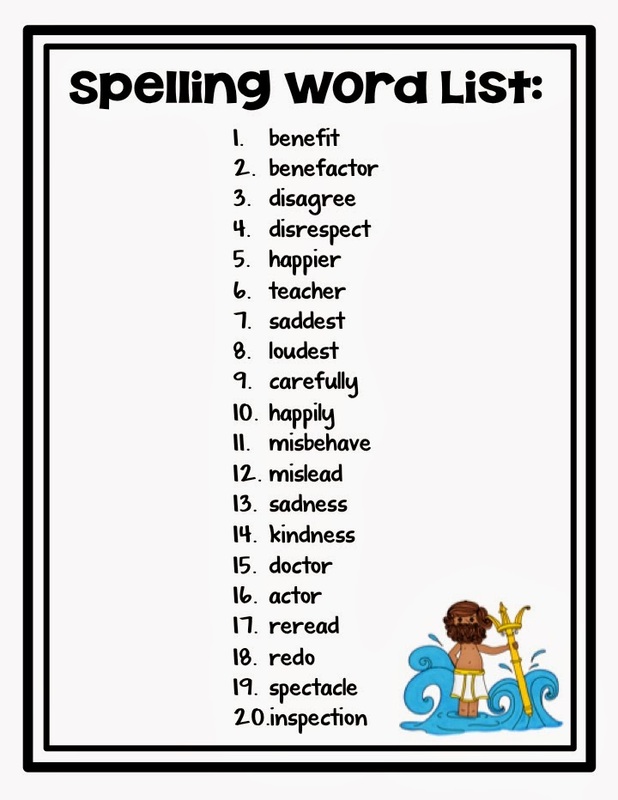 Over the summer I searched for a more meaningful way of teaching students to spell words, because I do think spelling is important in life. (Yes, I know we have spell check, but it doesn't catch everything and it's not always available!) 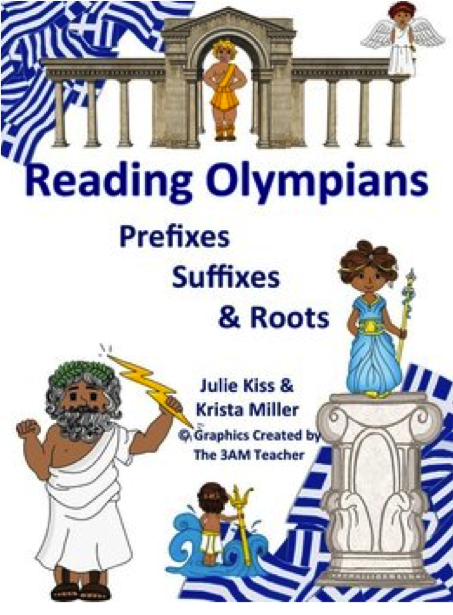 I thought back to the end of last year when I used the Reading Olympians program to teach root words and vocabulary and realized I could link the two! So, I did! This year I am using the Reading Olympians, Reading Warriors, and Reading Trojans packs. Each pack has 10 weeks worth of 10 root word sets for each week. That gives us 30 weeks total! Now I know that isn't an entire school year's worth, but I don't do spelling the first and last couple of weeks of school, and I mix in a few of my holiday spelling units, like my Spooky one for Halloween, that take up the remaining weeks. Each week I print out the student journal for the Reading Olympians set. 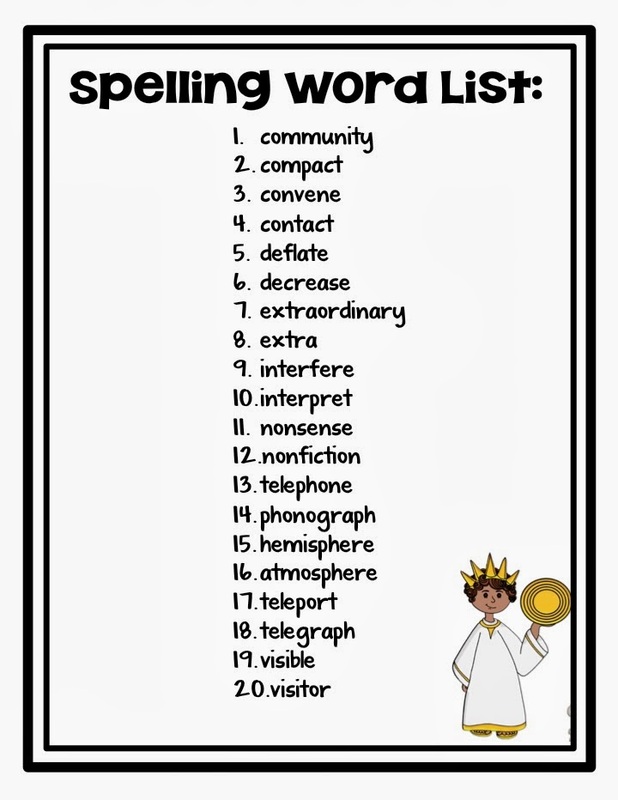 I also include a typed up list of our spelling words for the week in this journal. How do I come up with the spelling words? I take the 10 root words, and make 2 spelling words for each. It's that simple. As you can see, there are some TOUGH words in their for 4th graders. I know this, but I like giving them the challenge. Each week I choose 2 words (my students call them "daring" words because they "dare" to take the challenge!) and I don't count those two words towards their great. They still have to attempt them, and I put stars next to the kiddos who get them right and they get a sticker, but I just want them to try! On their homework calendars each night they have a practice to do with them, and then we go over the packet on Thursday or Friday before the test. I LOVE where this has gone. Students are learning to spell in a much more meaningful way, and expanding their vocabulary tremendously right along with it! I have so many parents who have said they were skeptical in the beginning when they saw such tough words, but have gone as far as to THANK ME now for challenging their kids so much. They are shocked at the words they now know! Now I know many of you are thinking, what about phonics? But I've found this way of spelling motivates my students more than ANYTHING! They are so proud of their grades, and I love that they are really learning, not memorizing. I still work phonic patterns lessons in during Daily 5 Word Work, but many of my kiddos know most of the patterns by 4th grade (that's why spelling last year was so frustrating!) and my lower kids get a little extra phonics practice as needed. So what do you think about the Great Spelling Debate? Do you do spelling? How? I'd love to hear your thoughts!! On a different note, I have to share that my Donors Choose project has been approved and posted! 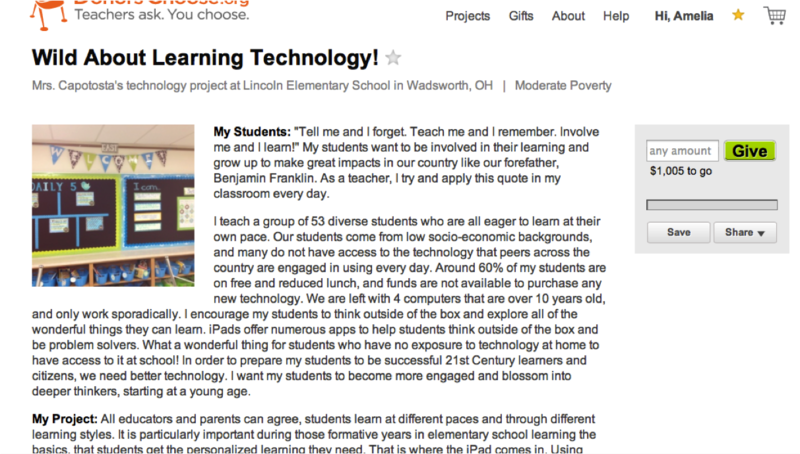 I am so excited to launch it! I am trying to get 2 iPads to use during small group instruction and for extra individual practice for my RTI kiddos. For the next 7 days, if you donate and use the code INSPIRE , Donor's Choose will match the donation! Click the picture or the link above to go to my project. I am also linking up with another one of my BBB's, Joanne, for her Spark Student Motivation Saturdays linky! I totally hear you about the frustration over spelling. There doesn't seem to be any transfer between the test and applying those skills to daily work. We are now using the Rebecca Sitton program which has words that are so basic (4th grade: yet, perhaps, from, every) they are considered No Excuse Words. We drill these words constantly....but they still misspell them. It is very frustrating...but in a world where everything is spell checked, are we fighting a losing battle?? 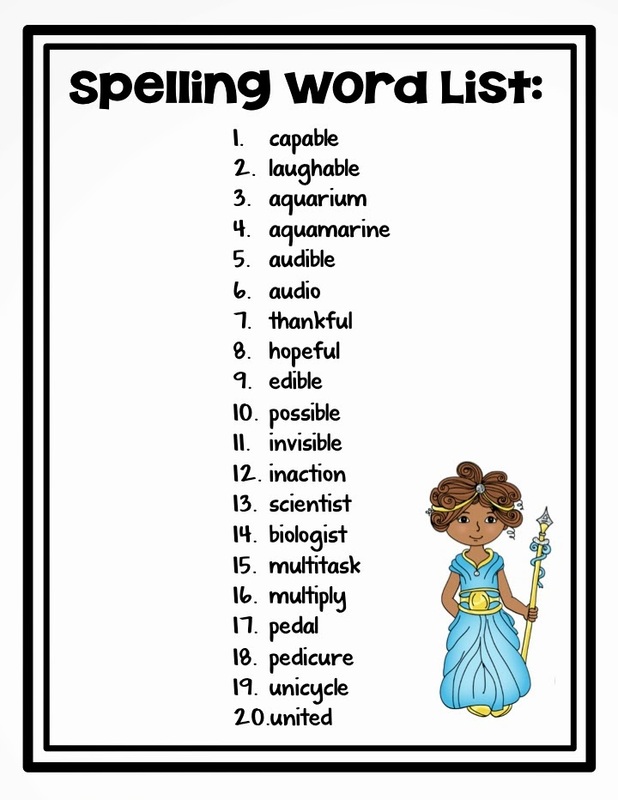 Our current literacy program has no spelling component, so I'll be using personal word walls to assist students with their spelling. 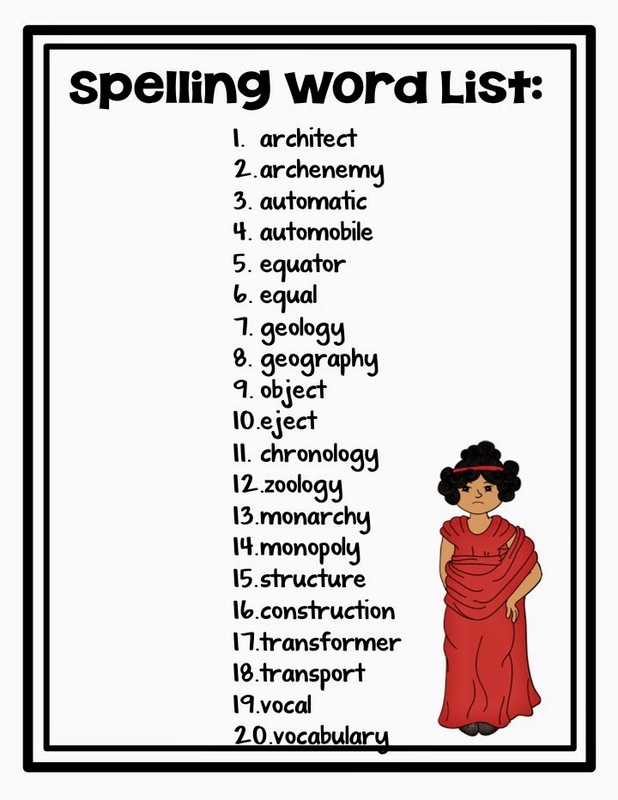 We're not supposed to give spelling tests anymore because of exactly what you said...they memorize the weekly spelling list and then it doesn't transfer into their writing or anywhere else. We do work on the most commonly misspelled words and word work in class. I think prefixes and suffixes are an awesome way to teach spelling and new vocabulary! Thanks for sharing and linking up BBB!